I lost a dear aunt many years ago. Today, her burial site is at risk of being callously destroyed — bulldozed together with more than 900 graves. 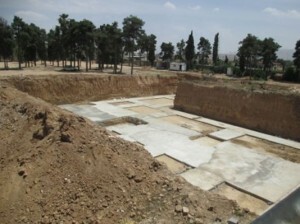 Although I knew of attacks on Baha’i cemeteries in Iran, at least 43 since 2005, I was stunned to learn that in April, the Islamic Revolutionary Guards in Iran began excavating the Baha’i cemetery in Shiraz where five of my relatives are buried, including my aunt. Earlier this year, Congress passed a bill that would add the “desecration of cemeteries” to the list of sanctionable violations of religious freedom under the International Religious Freedom Act of 1998. It was signed into law by President Barack Obama on Aug. 8. The bill was introduced by Rep. Grace Meng (D-Queens), primarily at the urging of her Jewish constituents. They had tracked a rise in attacks on Jewish cemeteries made vulnerable by declines in the size of Jewish communities in the Middle East and North Africa. Similar threats to Christian burial sites exist in the region as increasing intolerance and political instability have led to an exodus of Christians. But the vulnerable groups do not end with Jews and Christians. The cemetery in Shiraz is the resting place of 950 members of this religious minority — some Baha’is were buried 160 years ago. Among them are 10 women hanged in 1983 for teaching children’s classes. The youngest was 17-year-old Mona Mahmudnizhad. My aunt, Eshraghieh, is the most recent relative to be buried there. Despite living under a government that discriminates against Baha’is, she raised her children to welcome all people and taught me about selflessness and compassion. I miss my aunt, who died at 39 while I was attending college in the United States. I still wish I could have attended her funeral. She was laid to rest next to her mother, brother and sister. 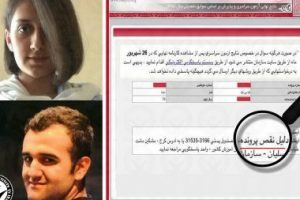 I had hoped to visit their remains, but I can’t: I have been outspoken about the persecution of the Baha’is in Iran and visiting there would be risky. According to media reports, remains have been removed from as many as 50 graves and placed in a canal. In June, the Revolutionary Guards made public their progress in clearing the site to build a cultural and sports complex. 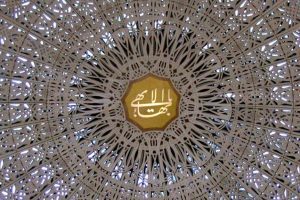 With about 300,000 members, the Baha’i faith is the largest non-Muslim religious minority in Iran. We have been persecuted since the Islamic Revolution of 1979, with more than 200 executed. The government bans us from government work, bars us from operating some businesses, pressures private-sector employers to dismiss us and denies our youth access to the nation’s university system. Arbitrary arrests since 2005 have surpassed 700 and 136 are imprisoned. The destruction of the cemetery in Shiraz is emblematic of the cradle-to-grave persecution of the Baha’is, which continues despite last year’s election of a self-proclaimed moderate to the presidency. What makes this destruction even more disturbing is the presence of empty land next to the cemetery that could be used for the same purpose for which the authorities claim the Baha’i cemetery land is needed: building a sports complex. I hope this new assault will not go unprotested by the international community. The signing of Meng’s bill into law is a step forward. 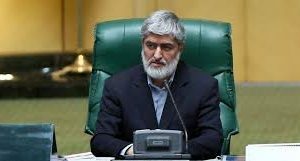 It places Iranian authorities — and officials of every country that allows state-sponsored religious persecution — on notice that senseless and offensive acts will bring censure, together with sanctions. I pray the remains of people everywhere, regardless of faith, will no longer be targets of fanatics and that those of my aunt, of Mona Mahmudnizhad, and all Baha’is buried in Shiraz are accorded the same respect due to every citizen of Iran.